When Rona Blackburn landed on Anathema Island more than a century ago, her otherworldly skills might have benefited friendlier neighbours. Guilt and fear instead led the island’s original eight settlers to burn the witch out of her home. So Rona cursed them. Fast forward one hundred some years, all Nor Blackburn wants is to live an unremarkable teenage life. She has reason to hope. First, her supernatural powers, if they can be called that, are unexceptional. Second, her love life is nonexistent, which means she might escape the other perverse side effect of the matriarch’s backfiring curse too. But then a mysterious book comes out, promising to cast any spell for the right price. Nor senses a storm coming and is pretty sure she’ll be smack in the eye of it. In her second novel, Leslye Walton spins a dark, mesmerizing tale of a girl stumbling along the path toward self acceptance and first love, even as the Price Guide’s malevolent author, Nor’s own mother, looms and threatens to strangle any hope for happiness. Flames consumed Anathema Island as the Blackburn matriarch retaliated against the patriarchal society, men who colonised the small north western island. Accusations of witchcraft coincide with eight generations of Blackburn women, blighted abominations including the estranged Fern Blackburn. Abandoned by her neglectful and abusive mother, Nor Blackburn is a wonderful young woman, friend and granddaughter, her grandmother and her partner creating a nurturing and environment. Although Nor is supported within a fostering environment, she continues to endure the torment and violence of her mother, comforted upon the harm she inflicts upon her body. Her anxiety is palpable and as the youngest Blackburn daughter, she was a causality of abuse and family violence. The legacy of each Blackburn child is her ability, each generation fostering aptitudes from their matriarch. The village smouldered as the lineage is condemned to isolation, each Blackburn woman enchanting a lover for three days of passion to produce an heir. Fern Blackburn was consumed by her unwilling suitor, using incantations and her daughter as a blood sacrifice as entrapment. Fern has returned from isolation with The Price Guide to the Occult, monetising the Blackburn legacy, amassing a congregation of loyal disciples and darkness is descending upon Anathema Island. The mysticism is captivating, predestined to isolation through the legacy of their matriarch. The Blackburn name continues to be a formidable presence throughout the Pacific Northwest Islands. Unfortunately the narrative is incomplete. Characters are introduced without significance to the narration and despite the compelling compensation, the characterisation is rudimentary and the narration becomes monotonous. 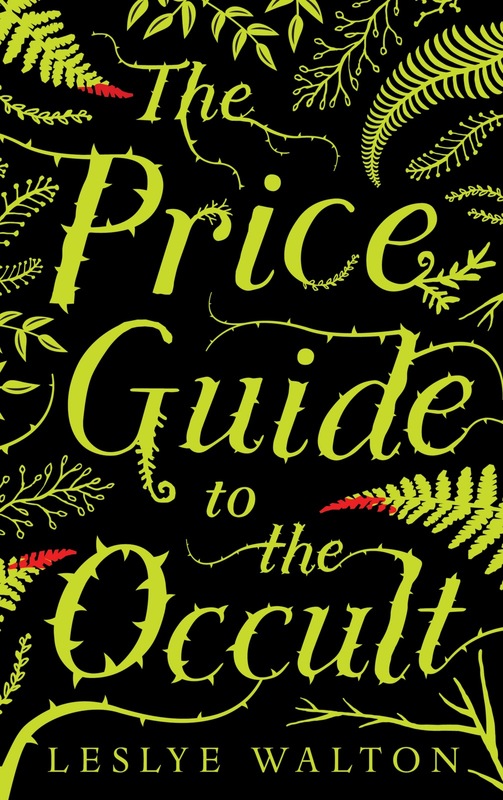 Although I enjoyed aspects of the narration, The Price Guide to the Occult is an exasperating novel. Unfortunately not for me. Sorry you didn't enjoy this one. I never read the author's previous novel, though I know it got a lot of good reviews. I think I'll pass on this one though for sure, because I am a big fan of characterization and it just seems like a frustrating book. I tried reading The Strange and Beautiful Sorrows of Ava Lavender and unfortunately I couldn't get into that one either Lauren, which is strange seeing I usually navigate towards lyrical narrations. There was just an enormous lull during the narration between that explosive, empowered first few chapters and the ending. Yikes...exasperating? I don't think I could do it. I hate it when people are introduced without significance to the story, or they aren't fleshed out in some way. I want the people I read about to be meaningful, or at least play a role. I had seen this one around, but I never felt compelled to search it out. I'm sorry it didn't work for you, and I hope your next read is better! It was incredibly unnecessary, especially the potential love interest. His sole purpose seemed to be just to touch her arm and later, rescue a dog. Very little is known about him other than he's moved back to town. He held absolutely no appeal and the pages spent attempting to develop their relationship could have been used as character development or furthering the narrative. 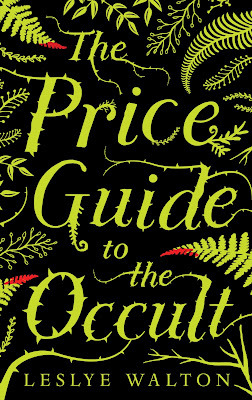 As far as I know, The Price Guide to The Occult is a standalone, so he literally added nothing to the narration. ...saving the dog was good, right? It means he has at least one redeeming quality! I really love for my characters, primary and secondary, to be incredibly fleshed out. I want it to feel like I've known them forever, so I get disappointed when characters feel flat and unnecessary. I'm starting to feel like the story isn't going to progress as I'd hoped. I'm stuck about halfway. I like the sinister ambiance, though. I had such high hopes Joy but they begin to fizzle shortly after the opening few chapters. If this had continued the historical elements of the first Blackburn witch on the island that burnt men to the ground, I would still be applauding. i haven't read a reviewer calling a book exasperating before, you must be very annoyed ? I was incredibly frustrated Ailyn. So much potential. That's pretty much how I felt. Unless a character is going to have an impact on the narration, they're really just taking page space away from furthering the protagonist narrative. I'm currently reading Ace of Shades by Amanda Foody and loving it so far! Well, that's too bad. It sounds like it would be really good and kind of creepy. It was at the beginning, I was absolutely captivated but the change to the modern day narration felt disappointing in comparison. I would love to see the original, historical storyline continued, it was epic. I've been on the fence about this one and I'm still unsure. It sounds pretty exhausting. I hope your next read is much better! It has been most certainly Amber. It is exhausting. There were aspects that were absolutely brilliant but those were too few and far between unfortunately. Just not for me sadly. Oh no! What a promising premise to be let down by a poor execution! The writing was lovely actually, the narrative just felt so incredibly lost at one point and it slipped into mundane contemporary mode after such an incredible first few chapters. Thanks for your thoughts on this one Kelly, I received this one in the mail but wasn't sure about it because I haven't heard anything about it. A shame that it was kind of boring after a while! I hadn't either but the premise sounded incredible. I didn't have much luck with the The Strange and Beautiful Sorrows of Ava Lavender either unfortunately. I wanted to read this so bad, and now I'm having the hardest time getting into it. Oh well, great review! It promised so much unfortunately. Really looking forward to reading your thoughts Ashlea. Sorry to hear this book wasn't for you. I remember being captivated by Ava Lavender, it was a weird read but also really good. This sounds like it could be the same. I definitely want to read this just to see how it holds up. I didn't have a great time with that one either unfortunately. I loved the writing but not the lengthy passages of explanations and information. This one doesn't have the same prose though, just fleeting moments. Really interested to see how the two will compare.